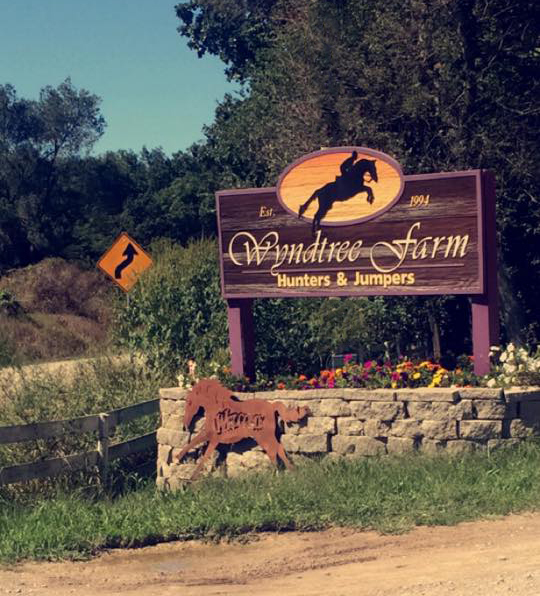 Wyndtree Farm is a premiere equine facility located between Cedar Rapids and Iowa City, Iowa. It is a friendly, family-oriented barn that can help equestrians of all ages reach their riding and horsemanship goals. Wyndtree Farm offers eastern Iowa the finest in horse boarding, riding instruction, and horse care. At Wyndtree Farm we specialize in Horsemanship and Hunter Seat Riding instruction for all ages and skill levels, from beginners to advanced. Explore our Web Site for more information about Wyndtree Farm.